Dorm essentials for your college dorm room aren't very effective if they're not compact. Your college dorm room is small and therefore the college supplies you get while dorm room shopping have to be dorm space saving dorm items. You may think it's hard to find this quality in a dorm lamp that isn't overhead or a book light, but it is possible! 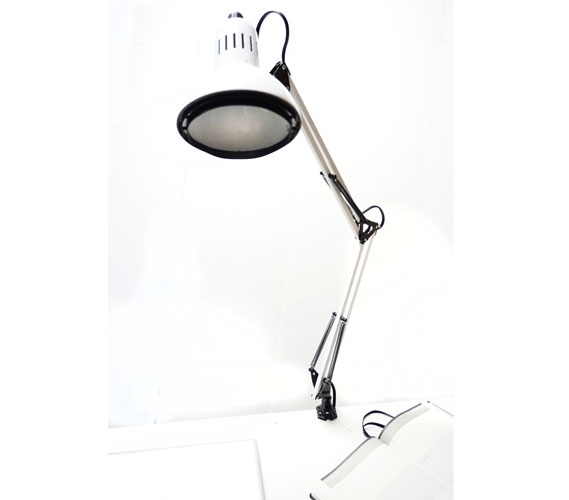 Look no further than our Adjusting College Clip Lamp in White! Our Adjusting College Clip Lamp in White is an extremely compact dorm space saver- it doesn't take up any space at all, in fact. 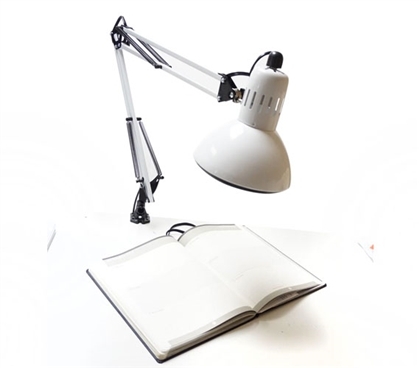 The Adjusting College Clip Lamp in White clips onto the side of your dorm desk or college nightstand so that you don't have a dorm light taking up your valuable studying space on your dorm desk. 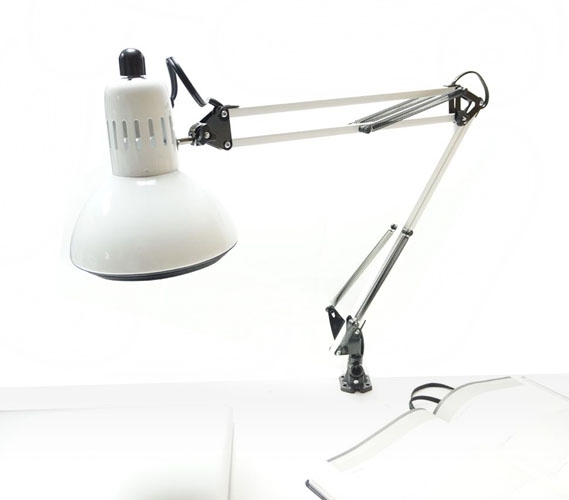 The neck and head of this dorm lamp is also flexible so you can adjust the light to wherever you need it focused at. This dorm lamp is a dorm essential college supply when your roommate is going to sleep and you're going to study or do homework. You won't be able to use the overhead light in your dorm room when your roommate is sleeping, so having an adjustable, compact dorm light for college is essential for late night study sessions.